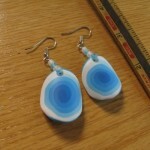 The jewelry in the Blue Sky collection contains the colors of a bright blue sky with white, fluffy clouds. 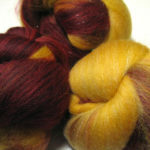 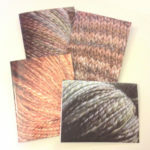 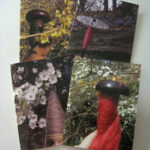 It’s perfect for cheering up a grey winter day or for bringing some of the clear, cold weather inside. 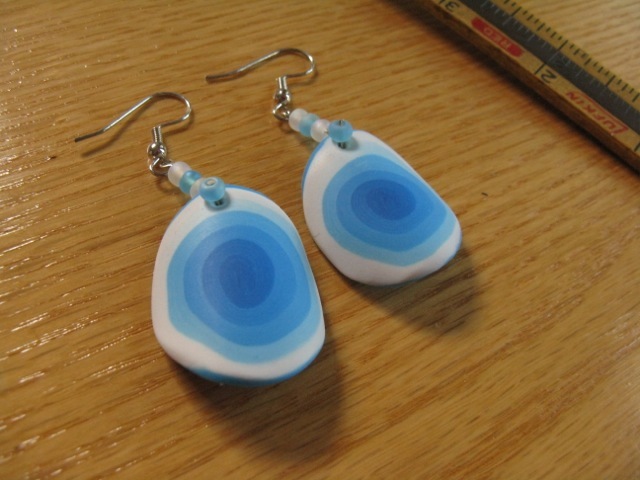 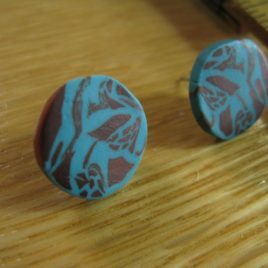 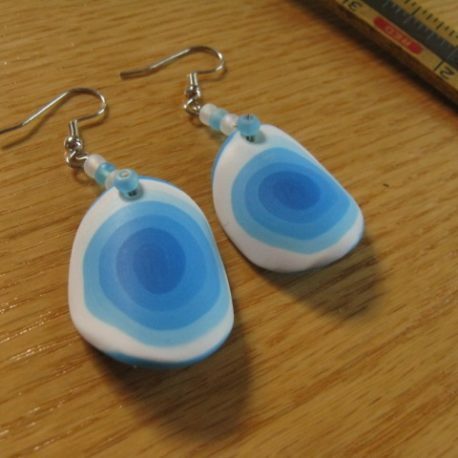 These earrings are made from polymer clay in a gradient from white to bright sky blue, accented with glass beads in frosted blue and frosted white. 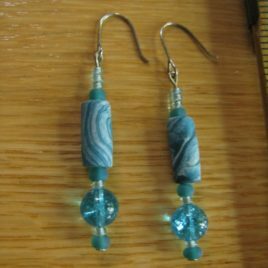 These earrings are quite light and would be comfortable to wear all day. 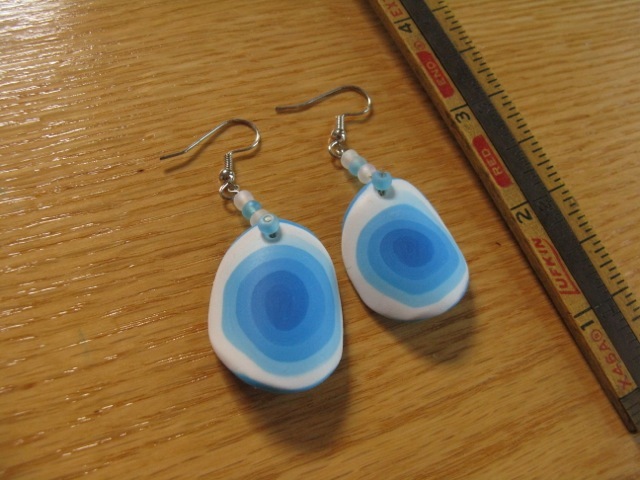 They measure approximately 2-1/2″ long and 1″ wide. 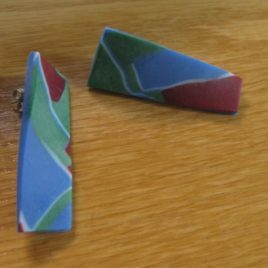 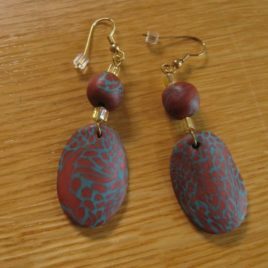 All of my polymer clay jewelry, beads as well as other shapes, is made by hand, without molds or commercial canes of any kind.